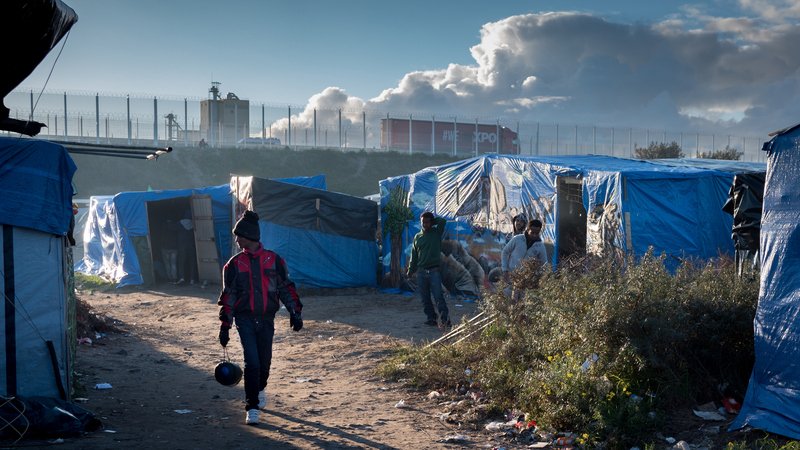 On the 9th of October I made a last minute decision to cross the channel and visit the migrant camp in Calais. Although only there for a few hours I was able to explore the living conditions and speak with a few of the Migrants and Refugees. The Storify embedded below is a summery of some of the captured conversations. The original plan was for me to head into Calais and follow a group delivering donated bicycles to the migrants. I had initially felt uncomfortable going in empty handed but this meant I explored the camp with curiosity in my eyes and not pity. No one there, no matter how hungry or traumatised asked me for anything other than respect. The original Storify link is gone as Storify no longer exists. These guys are doing interesting stuff.. http://www.crowdfunder.co.uk/calais-bicycle-aid?tk=210929cf70485f25cf6e2146e632676dced752cd Enabling Migrants and Refugees to get into town easier by donating bikes. Another great organisation to get involved with – Calais Action (https://www.facebook.com/calaisaction?fref=ts) is a grass roots giving group helping refugees in Calais and Europe. It was established by Libby Freeman in August 2015 following her initial trip to Calais, and is growing into a successful giving network in the UK to help address the growing crisis. They have raised £20,000, set up donation drops across the UK and created a global giving map – http://refugeemaps.org/ – which is being used internationally to track donations. They are currently in need of skilled people; lawyers and builders/joiners for example; who can offer their time. Check the Facebook page for details. Hi Lindsay, thank you for your comment and praise for Refugee Maps. By all means, please donate to Calais Action, they are a fantastic organisation and provided inspiration and support to us in the early stages. But to clarify, funds raised by them do not go to Refugee Maps. RefugeeMaps.org has been built and is being maintained by me and my partner. We have taken it Europe-wide and are running it as an independent, voluntary and self-funded project. At this moment, we are not seeking any funding or donations.